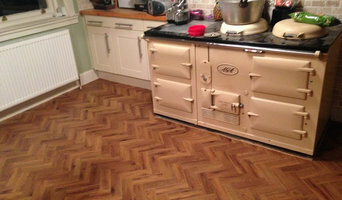 Affordable Flooring is an established family run flooring business based in Bonnyrigg. They have over 20 years of experience in the flooring industry and always aim to provide customers with the best quality products at the best price possible with great service. The price quoted by John will be the final price for the product including fitting. 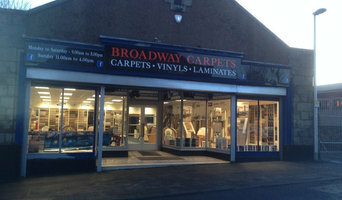 They specialise in carpets, Karndean, vinyl flooring, laminates and wood flooring. Made to measure window blinds are also available. If you are unable to visit their Bonnyrigg showroom to view the hundreds of flooring samples, an appointment can be made for one of the salespeople to visit you at your home or office. The benefit of this is you can see the colour of the samples in the light of your own home or office. From our newly refurbished showroom in the centre of Edinburgh we have an extensive range of carpets and flooring to suit all tastes and budgets - offering outstanding value and choice from Britain’s best known manufacturers. We will advise you on style, colour and flooring suitability, carry out free estimates, dispose of existing flooring, move furniture and generally ensure that your experience of buying flooring is as seamless as possible from selection to installation. 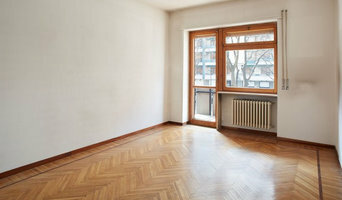 We have built our reputation on providing a professional friendly service, good quality flooring and expert installation by our experienced team of in-house fitters. All our floor installation work is completely customised to meet your specific needs. We are based in Armadale and our services are available to homeowners, businesses, offices, pubs and other commercial enterprises throughout Scotland. When you visit our showroom, you will find a selection of flooring that not only meets your needs, but also suits your taste and the style of your premises. Our experienced team of flooring specialists are based in Armadale and we are well-equipped to undertake both domestic and commercial floor installation and repair projects throughout Scotland. ABOUT US FLOORS IS OWNED AND OPERATED BY CRAIG & DEREK. WHEN WE SET UP OUR BUSINESS WE SEEN THERE WAS A HUGE GAP IN THE MARKET FOR A QUALITY CARPET & FLOORING RETAILER THAT HAS THE PERSONAL TOUCH. CRAIG OR DEREK CAN VISIT YOUR HOME AT A TIME TO SUIT YOU AND WITH OUR EXPERIENCE WE WILL HELP YOU MAKE THE RIGHT DECISION. ON THE DAY OF YOUR FITTING WE WILL ARRIVE WITH OUR FITTER AND PERSONALLY SEE THE JOB THROUGH TO THE FINISH.LET US TAKE THE STRESS OUT OF THE SITUATION FOR YOU, ONCE YOUR NEW FLOOR IS COMPLETED WE WILL DO A WALK THROUGH TO MAKE SURE YOU ARE ENTIRELY SATISFIED WITH YOUR NEW FLOOR. At Woodcocks we believe that flooring can be the most important design decision in your home, whether you need a bold, contemporary and innovative design or a more natural, rustic or traditional style we will have a floor covering to suit. We are a family run independent carpet shop. We first came to Galashiels in 1991 and began trading in a unit in Netherdale. After 3 years we moved to Deanbank Mill and have been there ever since. The shop is run by Cheryl and her son, Hugh who is also one of the fitters. Hugh is a Master Fitter with the national institute of carpet and floor layers, and his son Joseph is now an apprentice. Also on the team is Garry Brown, another NICF Master Fitter, and Steve who does the estimating, and sales. We offer a complete service from advising on the type of flooring you need, to measuring and planning, to the final installation. We can also offer a rug making service to you. We are one of the largest independent shops with roll stock of both carpets and vinyl, which can be cut for you to take away same day. We also undertake contract work for businesses and charities. With the opening of our new showroom, we can offer carpets from Westex, Cavalier, Adams, Ryalux, Uster and many more. Retailers of rugs from all over the world. Also stocking vinyl, carpet, laminate and hardwood. We are now stockists of home furniture including Wilde Java, Parlane and Roost. 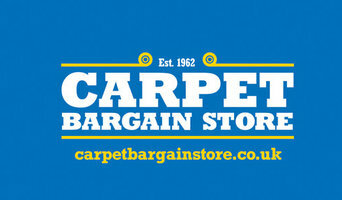 Carpet and flooring retailer and installer. Re-upholstery, furniture restoration and bespoke furniture painting. Made to measure curtains and blinds. Retailer of furniture, lighting, fabrics, wallpaper, soft furnishings and homeware. Stockist of Autentico chalk & lime paints. Furniture painting workshops held in our shop. Ace Hardwood flooring fife is the largest supplier in the UK. We have a wide range of high-quality, multiple styles of hardwood flooring that take your interior to another level.